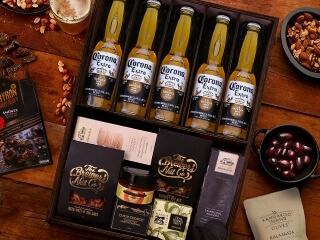 We've got you covered for every single occasion and any budget with our range of Australia's favourite gift hampers from The Hamper Emporium. 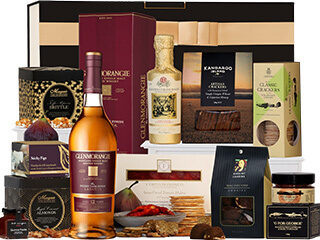 Did you know over 200,000 customers have experienced the joy of receiving our gourmet hampers and luxury gifts directly to their door? Don't let your friends and family think you don't care! It's time to show them just how much they mean to you by joining the rest of Australia and having a special gift of luxury delivered directly to their door. Whether it's the perfect birthday gift, something special for their anniversary, a congratulations on a promotion or buying a house, we've got the perfect gift for every occasion. Need to encourage her to take some time out to spoil herself? 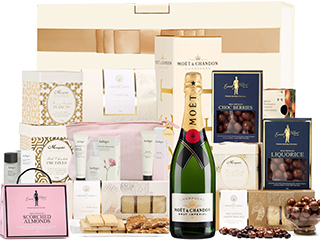 Gift her a special pamper hamper, a luxury wine hamper, or perhaps a beautifully presented Champagne hamper. Want to send your favourite foodie on a journey of flavour discovery? 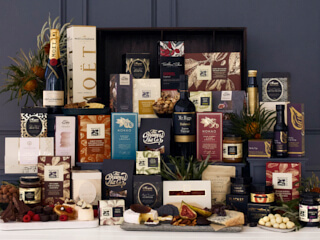 Our foodie hampers are packed full of some of Australia's most delicious artisan treats, and some of the world's most exquisite nibbles, it's a flavour sensation they'll never forget. For the beer connoisseur we've got the perfect selection of craft beers, or perhaps take them on a journey of beer from around the world with one of our beer gift hampers. Whatever they love and whatever your budget, we've got the hamper solution. The thing we know above all else is that our role is to ensure that your role as gift-giver is as easy and as affordable as can be, and we do our job daily with hearts filled with pride. Not only do we send our own families the very same hampers and gifts we send yours, but we also treat every hamper that leaves our warehouse as a gift that could be going to family members of our own. Your family is just as important as ours, and that's why we cherish each order and each hamper as it takes its' journey from our hamper home to your recipient's home and workplace to bring a smile to their face and share love and joy. Sending a gift for any occasion means placing trust that the gift you choose is not only amazing but also trusting that it will arrive on time, beautifully packaged and that it will bring joy to the person receiving the gift at the other end. We know there's a chance that other online gift stores have let you down, and we're here to say that at The Hamper Emporium, each gift hamper leaves our warehouse with the same love, care and attention to detail that it would if we were sending it to our own friends and families. In fact, you'll find that our staff do in fact send many hampers to loved ones, using the same online hamper store that you're browsing right now. If it's good enough for your recipients, then it's good enough for ours too, because we believe that everyone deserves only the best of the best experiences when it comes to buying and receiving gifts. 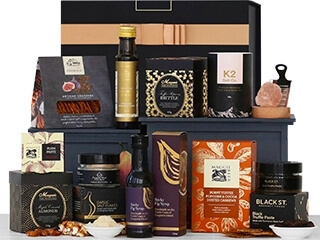 If you've ever wondered what makes a good occasion to send a gift hamper, after over a decade at creating and selling Australia's most popular gift hampers, we believe that there is a perfect hamper for every occasion. If something is worth celebrating, then there's a hamper worthy of being received and giving or sending a Hamper Emporium premium gift basket or gift hamper is an excellent way to say congratulations, well done, thank you, thinking of you, or just to show you care. With our extensive range of general gift baskets, Christmas Hampers, Birthday Hampers, and many other options, we can supply the right gift for you to give to a loved one or relative, a teacher, a friend, a neighbour, a customer, or an important business contact. We can even send a gift hamper for no reason at all, just because you want to surprise someone special. No matter the occasion we'll include a free personalised gift card that can be customised with your message. What Types Of Gift Baskets And Gift Hampers Are Available At The Hamper Emporium? At The Hamper Emporium, not only are our gift hampers filled with exclusive gourmet produce, Australia's finest wine, a carefully curated selection of craft beer, world-renowned skincare, and beautiful baby products, we've ensured that by creating lasting relationships with some of the world's best brands, we're able to offer the best-priced hampers in Australia. Through our partnerships with suppliers of artisan foods, luxury gifts, and premium drinks, we make sure that only the best products are included in each of our hampers, so that every recipient will be truly delighted to receive a gift from The Hamper Emporium. There's truly something for everyone, with a selection of gourmet food hampers, chocolate hampers, beer, BBQ and Cider hampers, baby hampers, Christmas hampers for the holiday season, pamper hampers, and special ‘for her’ and ‘for him’ selections, you’ll be able to find the perfect gift hamper for every event. 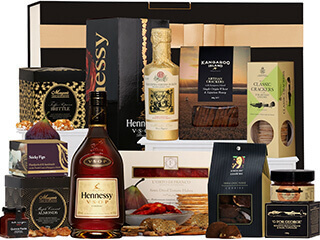 What Exclusive Products Are Included In The Hamper Emporium Gift Hampers? At the Hamper Emporium, we source all our products very carefully from the Best Australian and international suppliers using only premium brands. Every-day supermarket items don’t make it into our gift selections, and everything is assembled fresh daily by our team, to ensure that all our premium gifts and hampers arrive at their destination in the best possible condition. You can consider the tastes of your gift basket recipient by selecting sweet treats or savoury nibbles or choose a selection that encompasses both. 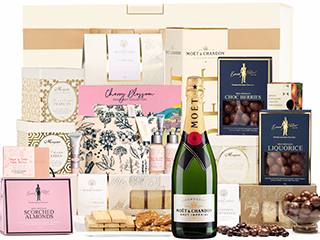 A range of brands within our luxury hamper range are exclusive to The Hamper Emporium. We've decided to work closely with suppliers to find the best of the best because we believe that's what our customers deserve. Brands such as Morgan's, The Woods Farm and The Brewer's Nut Co. work closely with The Hamper Emporium to provide artisan produce that is proudly produced by Australian companies for our amazing Australian customers. 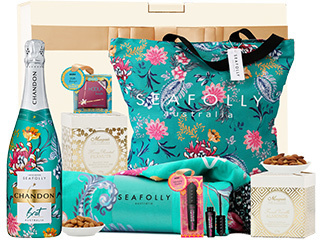 Are There Personalised Gift Hampers Available For Australian Delivery? We've spent years selecting and refining our hamper range, and one of the most exciting introductions has been our range of personalised gift hampers. These aren't your every-day personalised gifts that are outsourced to third parties so you're left desperately hoping they'll arrive. We don't leave our customers at the mercy of outsiders here at The Hamper Emporium, instead, all of our customised hamper gifts are personalised in-house so you can be assured of the finest quality control and only the finest of gift options. Our personalised gift range includes a selection of genuine leather gifts embossed with stunning gold lettering that can be customised during purchase. Whether it's a monogrammed leather keyring for her, or a personalised genuine leather washbag for him, our premium personalised hampers are the finest of quality and the perfect way to make them feel like you've truly selected a one-of-a-kind gift. 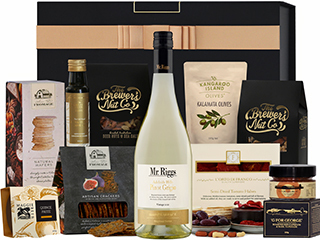 All of our gift hampers, whether personalised or from our general range are available for delivery right across Australia, and the best part? Every hamper includes FREE standard Australian delivery to ensure that your gift shopping is affordable. Does The Hamper Emporium Offer A Range Of Birthday Hampers? All gift baskets at the Hamper Emporium can be used as a birthday hamper; this is one of the reasons why we have not created a dedicated category. With a large range of suitable gift baskets for both men and women, customers can easily find a birthday hamper to match their recipient's tastes, interests and of course to match the buyer's budget. To make the birthday hamper extra special, customers can choose one of our free greeting cards for their birthday hamper. Simply select the card you wish to use and enter your message during the checkout process. After we have received your order, we will put the message on the card. What better way to celebrate another year of life than with the most delicious selection of goodies they've ever experienced, arriving directly to their door! When Is A Thank You Hamper A Suitable Gift Choice? The Hamper Emporium’s gift baskets are suitable for all occasions and events; this means you can use any one of our hampers as a thank you hamper. A thank you hamper usually contains a nice bottle of wine, complemented by gourmet nibbles, so the perfect Thank You gift is sure to be found in our Gourmet Food & Wine Hamper Range. Want to say thank you in a way that ensures they take some time out to treat themselves? If they deserve some extra 'me time' then a Pamper Hamper is a popular choice. Our pamper gift range allows your recipient to have some quality time with luxury skincare, scented infusers, delicious treats and maybe a bottle of something bubbly too – a great way to relax. 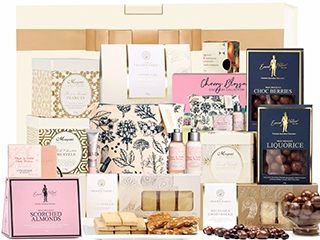 Many of our products won't be found in any other gift hampers, meaning that when you choose to send a gift from The Hamper Emporium to someone special, they know they're receiving their own little piece of exclusive luxury because you care enough about them to buy a gift from a company who cares about truly bringing joy and luxury to those who deserve it. 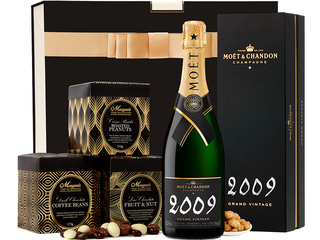 During your purchase, you can also add a personal message to their thank you hamper. Simply add the message you want to add to the designated field and the Hamper Emporium takes care of the rest. Does The Hamper Emporium Have Gift Hampers In An Affordable Price Range? 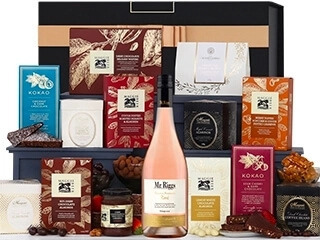 At the Hamper Emporium, we pride ourselves on the affordability of our hampers and gift baskets, and we offer a very wide selection of Australian gift hampers at a low price including free delivery, making it possible to send a memorable gift such as a baby hamper, a gourmet hamper, or a sweet treats hamper across the whole of Australia at a very reasonable price. At the top end of our complete range, our premium sharing basket contains a large selection of gourmet food and wine that will treat a whole office or large family get-together with ease. Our range of Christmas Hampers are the perfect affordable gift for the festive season and can be delivered free of charge straight to your recipient’s door. 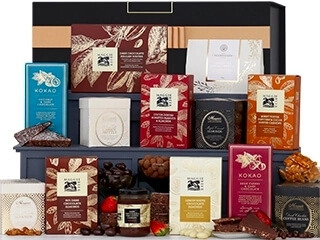 We offer free delivery with all our gift hampers Australia wide. Are Corporate Gifts Available At The Hamper Emporium? Gift baskets and hampers are great corporate gifts, and here at the Hamper Emporium, we can work with you to make sure that your gifts are truly memorable, by adding personalised ribbons or gift cards to your chosen selection. In our range of corporate hampers, you can also include branded gifts such as engraved glasses or other gifts, with your name or logo. 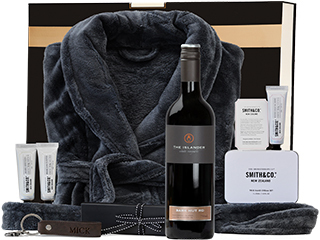 In addition, we offer our special Experience Vouchers which can be branded with your name or logo, as well as branded gift vouchers, that can be included in your chosen hamper or sent directly to your chosen recipient. Talk to us about personalising your gifts, and for special arrangements for bulk orders. Our range of Christmas hampers are great gift ideas for this Xmas season and are a gift to remember. So whether you need a gift hamper for him, for her, Christmas, a birthday or corporate event we have a hamper for every special occasion. 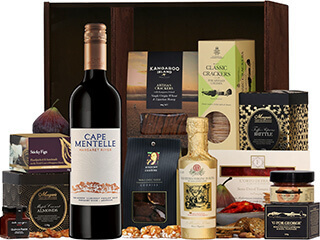 Make sure you utilise our free delivery service for all our gift hampers Australia wide.